Universal City, CA, March 15, 2017 – Two worlds. One connection. 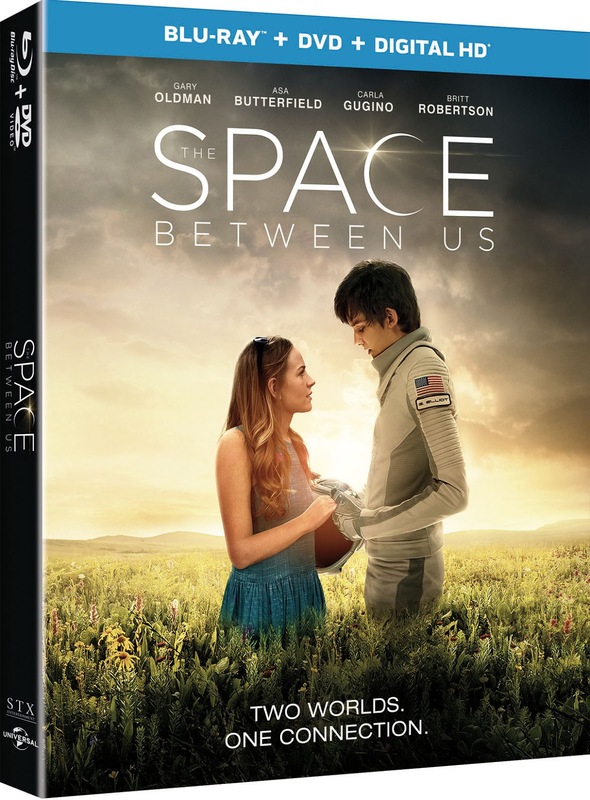 Embark on an extraordinary mission through space to find love and experience our planet like never before in the romantic adventure, The Space Between Us, arriving on Digital HD on May 2, 2017 and on Blu-ray™, DVD and On Demand on May 16, 2017 from Universal Pictures Home Entertainment. Starring Gary Oldman (The Dark Night Rises, Harry Potter), Asa Butterfield (Ender’s Game, Hugo), Carla Gugino (Night At The Museum, “Wayward Pines”), Britt Robertson (A Dog’s Purpose, Tomorrowland), BD Wong (Jurassic World, “Law & Order: SVU”) and Janet Montgomery (“This Is Us”, Black Swan), The Space Between Ustakes viewers on an out-of-this-world journey that reveals all the incredible beauty of the Earth and proves love is a universal language. From STXfilms (The Edge of Seventeen, Bad Moms), The Space Between Us on Blu-ray™, DVD and Digital HD is filled with special bonus features including a never-before-seen alternate ending and deleted scenes! Sixteen-year-old Gardner Elliot (Butterfield) is the first human born on Mars, living his whole life with a team of scientists on the red planet. He’s always longed to see Earth to find the father he’s never known and to meet a beautiful street smart girl named Tulsa (Robertson) he’s encountered friends with online. But when his chance finally comes, doctors discover his heart can’t withstand the Earth’s atmosphere. Eager to find his father, Gardner and Tulsa escape on a cross-country race against time to unravel the mysteries of how he came to be and where he belongs in the universe. See the heartfelt and inspiring romantic adventure about how far one person can go for love. “Love” Featurette - An inside look, with the cast and filmmakers, at the themes of the film,highlighting the one theme that connects us all – Love. Pre-order The Space Between Us (Blu-ray + DVD + Digital HD) on Amazon for $24.99 & FREE Shipping on orders over $35. Disclosure: I was not compensated for this post. Just sharing that this movie will be released soon!